Better Party Ideas - Fun party games and activities - Always with a twist! The number one web-site for fantastic party ideas. And easy ways to get your party plans moving. Here you will find all the best tried and tested party games, ideas, themes, activities and everything else you need to help your party go with a swing. Every idea-packed page has easy guidelines telling you exactly what you need to do. Plus all the special tips telling you how to make great parties even better! Simply pick out the bits and pieces from our pages that will work for you. www.better-party-ideas.com shows you how to squeeze the maximum juice out of every event and party you organize! So whether you are a parent in need of inspiration or an old hand searching for some new ideas you have come to the right place. We really want you to find our web-site useful. Become a regular visitor; new ideas are being added all the time. We passionately believe that parties and celebrations should bring people together, and most importantly- BE FUN! We wish you lots of success whatever party you choose! Better Fundraising Ideas - Need Great Fundraising Ideas? - Visit our sister site for everything you need to know about raising money for your good causes. Perfect for school fundraisers, church groups, sports teams, cheerleaders, charity groups and any other kind of non-profit organisation. All the best toddler party ideas from the greatest kids party site on the web! All the best kids party ideas. 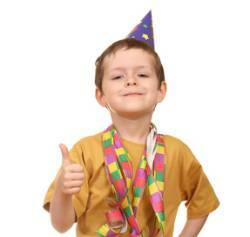 Fantastic party themes and kids party games. Everything you need to make sure your kids parties go with a swing! All the coolest teen party ideas. Make your teenager's party the best! All the best adult birthday party ideas. Because whatever age you are you are never too old to party! Brilliant 50th birthday party ideas. All you need for planning a 50th birthday party! Brilliant slumber party ideas. Make your sleepover party a sensation not a snore bore! Santa-tastic! Brilliant Christmas party ideas. Festive frolics for Christmas Party People young and old! All the best Halloween Party Ideas. Everything you need to make sure your Halloween Party doesn't become a real nightmare! Funny or sentimental these party toasts are perfect for weddings, birthdays, anniversaries and all sorts of other celebrations. The Better Party Ideas Blog keeps you up to date with all the latest ideas from the www.better-party-ideas.com web-site. Subscribe here. Contact Better Party Ideas - the best party website on the world wide web! Would you like to share your knowledge about party ideas? Great, find out how you can submit your story or tip here.